Bayan-Olgii Aimag is dominated by the Altai Mountain range stretching along the southern border with China which slopes down to the Great Lakes Region of Mongolia in the northeast of the province. 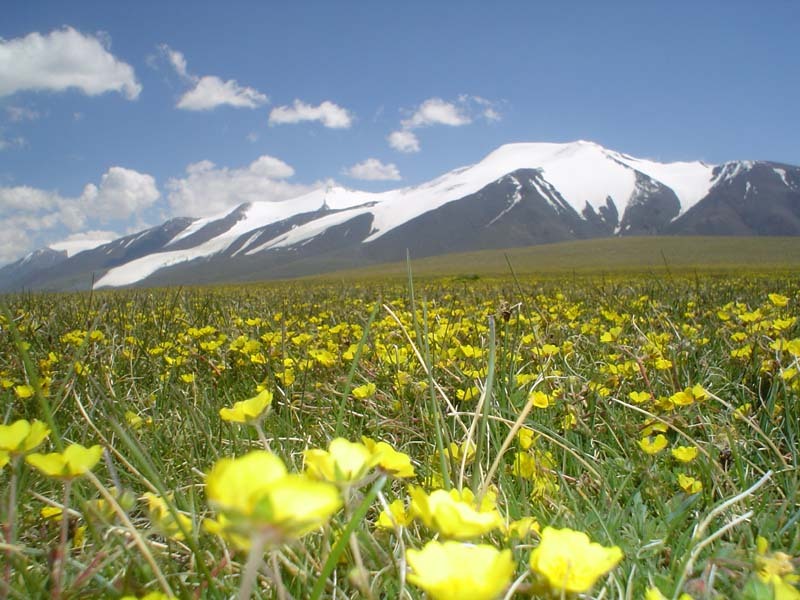 This aimag is the highest in Mongolia with 95% above 1600 m (1 mile) above sea level, with the highest point of Khuiten Uul at 4373 m. The Altai mountain range crosses Mongolia, China, Russia, and Kazakhstan forming a natural boundary between European and East Asian cultures. The Altai Mountains are the highest peaks in Mongolian and the only ones with permanent snow cover. Tavan Bogd Mountains, which are located in the western most point of Mongolia, are the 5 tallest peaks, followed by the 2 peaks of Tsambagarav Mountains on the eastern side of Bayan-Olgii. 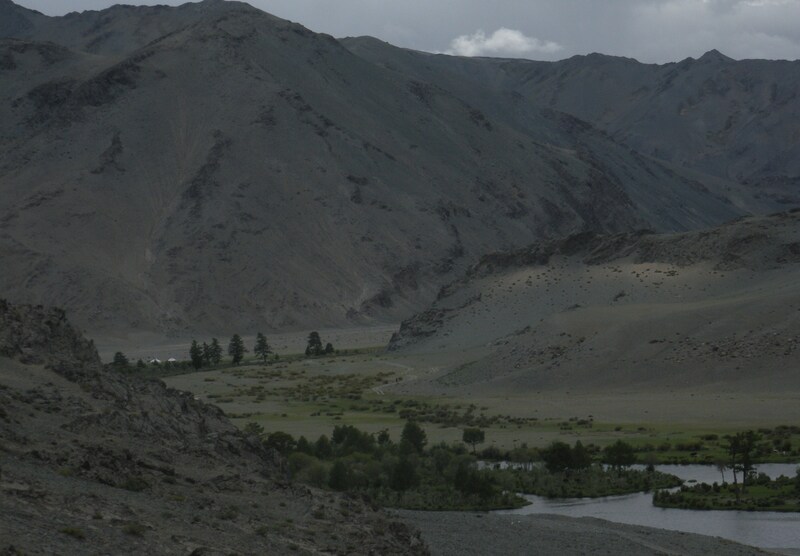 In the shadows of these mountains are many glaciers, 35 in Tavan Bogd National Park and several more in Tsambagarav National Park. 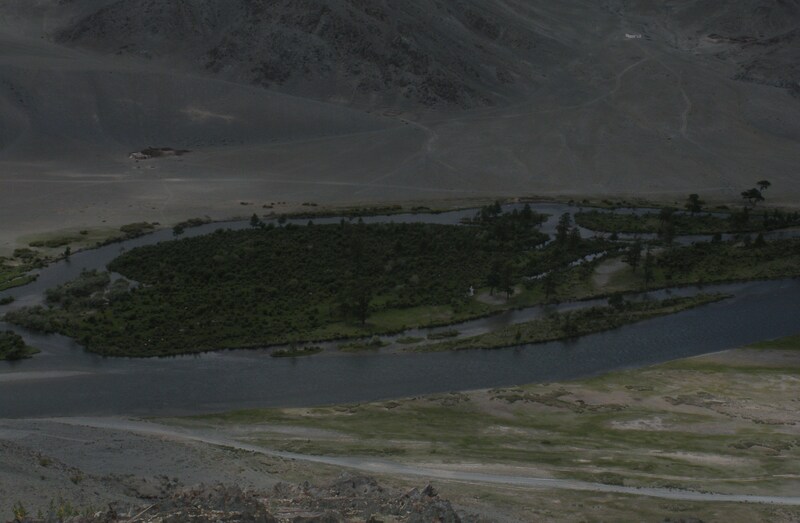 The melting snow of Tavan Bogd supplies several lakes and rivers, including the longest in Mongolia, the Hovd River. 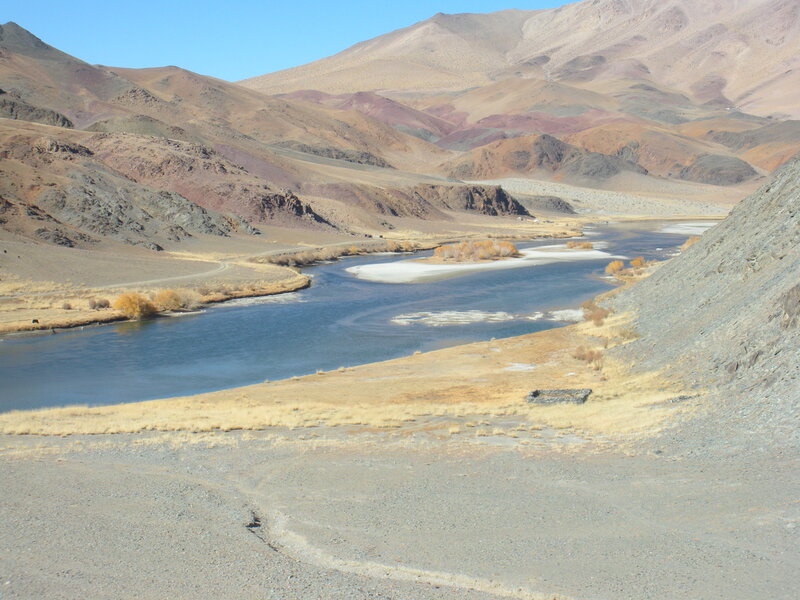 There are 3 large fresh water lakes inside Tavan Bogd; Khurgan Nuur, Khoten Nuur, and Dayan Nuur that form the origin of the Hovd River. Another large lake is treeless Tolbo Lake in the southeast, which stretches several miles along the road to Hovd. The largest lake is Achit Nuur on the border with Uvs. This lake is just north of the heavily forested Davit Aral Nature Reserve and is home to very large number of birds. Away from the river valleys, Bayan-Olgii is generally dry and rocky with some grassy steppe. 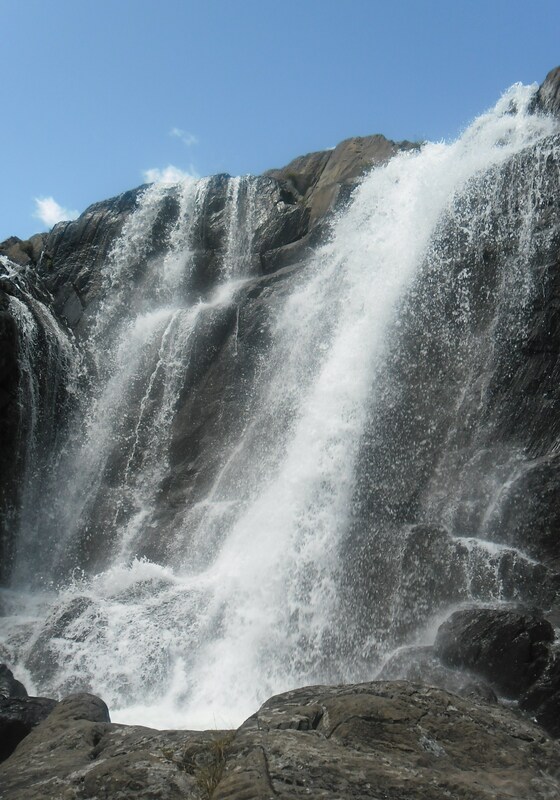 The mountainous areas receive 200mm to 400mm (7.8 to 15.7 in) of rain annually, while lower elevations of the Hovd River valley receives 100mm to 200mm (3.9 to 7.8 in) of rain. 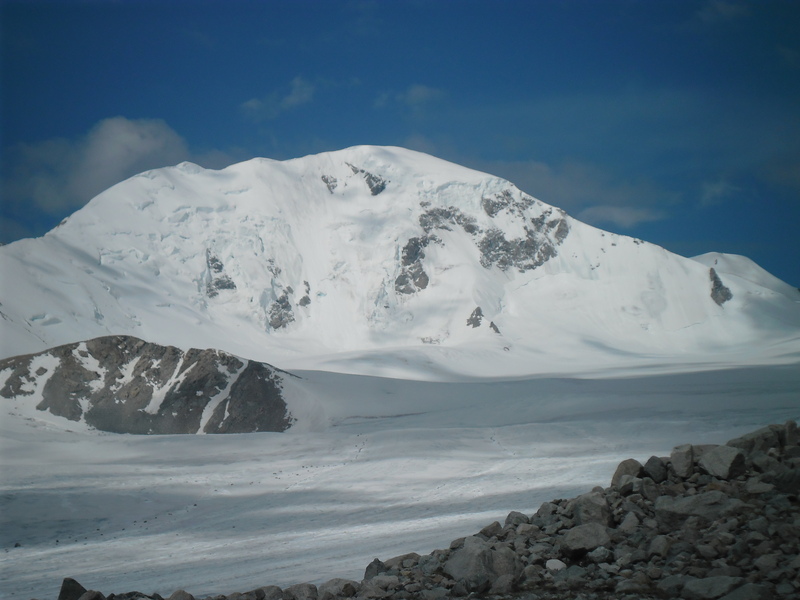 Average annual temperatures range from -4o C (+25o F) in the Tavan Bogd Mountains to 0o C (+320 F) in Olgii City, with temperatures in Olgii varying from +14.5o C (+57o F) in July to -17.8o C (+2o F) in January. Even though Olgii is at a higher elevation than Ulaanbaatar, the dry air and wide valley makes the city 5o to 6o C warmer during winter. Over half of the rain is in June and July, while some mountainous areas can get over a meter of snow during winter. Rivers and lakes are usually frozen from October to May.